Bluenoises is the Dario Piana’s digital label, founded in December 2011, after many years of experience and productions with major labels. 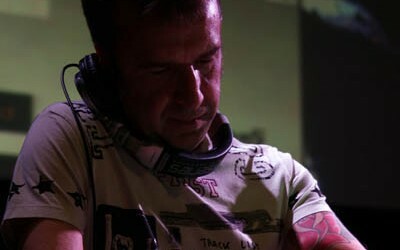 Dario Piana is an italian dj, producer and remixer who’s also a collector of vinyl records and a music journalist, as he writes on Computer Music & Project Studio. As a dj, he’s endorser in Italy of the Allen & Heath mixers (Grisby Music), of Ableton Live (Backline) and of D16 Group plug-ins. Since a long time he’s also Ableton Certified Trainer and Apple Logic Pro 9 Master Pro. He provides his lifelong experience in clubbing and his passion for technology, teaching in music schools all around Italy. He holds workshops, courses e full immersions. He has spent the last 25 years of his life in the dj booth, working in hundreds of clubs with very eclectic rhythmic dj sets. He plays house, with deep, afro, electronic, jazz and funk contaminations and he always takes care of the groove. Deep and sophisticated sounds, on modern patterns. His background is really unique. Dario Piana is one the most important dj and collectors of rare grooves, jazz, funky, Brasil, bossanova and soundtracks vinyls. He loves black music, and always follows its evolutions and contaminations. He has many collaborations with international broadcasters, both web and fm radios. For instance, he works with Radiopellenera and Soulpleasure. Many companies and many brands have used his live and dj sets. Between them: Milan AC, Diesel, Red Bull, Cadey/Bilboa, Bmg, Gq, Dom Ruinart, Philarmonica, Buongiorno, Telefono Azzurro, Blinko, Motor Show, Tiscali, Fiorio, Tamoil, Jayculture, Eurobassday 07, Scr. Bluenoises records è la label digitale di Dario Piana, aperta in Dicembre 2011, dopo molti anni di esperienza e produzioni nelle più importanti labels del settore. Dario Piana è dj, producer, remixer, collezionista di vinili e giornalista musicale (scrive su Computer Music&Project Studio). Come dj, è testimonial italiano dei mixer Allen&Heath (Grisby Music), di Ableton Live (Backline) e dei plug-ins D16 Group. Da tempo è anche Ableton Certified Trainer ed Apple Logic Pro 9 Master Pro. In pratica, mette a disposizione la lunga esperienza nel clubbing e la passione per la tecnologia, insegnando in scuole di musica di tutta Italia, tenendo seminari, workshop e full immersion. Gli ultimi 25 anni, Piana li ha passati in console, facendo ballare centinaia di clubs, proponendo un dj set molto eclettico e ritmico. Propone house, con contaminazioni deep, afro, elettroniche, jazz, funk, prestando sempre molta attenzione al groove. Fa la differenza il suo background: Dario Piana è uno dei maggiori dj e collezionisti internazionali di vinili rare grooves, jazz, funky, brasil, bossanova e colonne sonore, quindi black music, seguendo sempre ogni sua evoluzione e contaminazione. Molte le collaborazione con varie emittenti internazionali, sia FM che web, tra queste Radiopellenera, con un programma dal nome Soulpleasure. Molte aziende e molti brand hanno utilizzato i suoi live e djset, ad esempio: Milan AC, Diesel, Red Bull, Cadey/Bilboa, Bmg, Gq, Dom Ruinart, Philarmonica, Buongiorno, Telefono Azzurro, Blinko, Motor Show, Tiscali, Fiorio, Tamoil, Jayculture, Eurobassday 07, Scr.